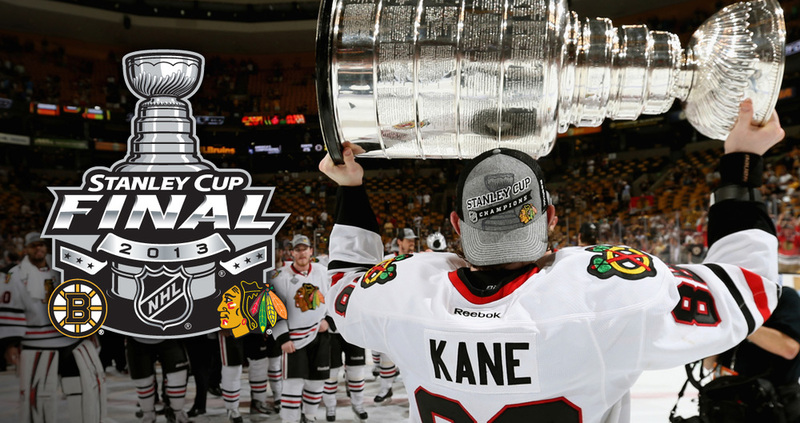 We here at Fanbrandz would like to extend a big congratulations to both the Chicago Blackhawks and the Boston Bruins for competing in one of the most exciting Stanley Cup Finals to date. The ending was "instant classic" material, and both teams deserve a round of applause. Chicago had a magical season from the start, blazing a trail across the country en route to the NHL's greatest start -- and probably finish -- to a season ever. Patrick Kane impressed all season. What an honor at age 24 to become just the fourth American to earn the Conn Smythe trophy, which is awarded annually to the NHL Playoffs MVP. Boston overcame tragedies that go beyond sports and helped bring together a city that will forever remain Boston Strong.